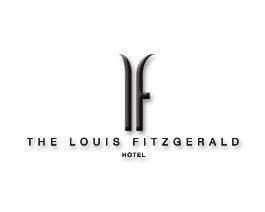 Cliona’s Foundation is delighted to announce that we are partnering with Louis Fitzgerald Hotel, Newlands Cross, Dublin. The partnership will aim to provide Cliona’s Foundation families who are in Dublin with their sick children with affordable accommodation. For parents of children attending Crumlin Hospital – Parents can avail of a special rate by booking directly through the administration staff based in Ronald McDonald House. There is also a special discount code that families can use when they are booking their own accommodation through the Louis Fitzgerald website, families can receive this code by contacting the Cliona’s Foundation office. “We are so delighted to have this partnership with Louis Fitzgerald Hotel, we want to do anything that we can do to relieve the pressure on families and make their journey a little easier. I would like to sincerely thank Louis Fitzgerald for everything that they are doing.” – Brendan Ring, Cliona’s Foundation. Thank you Louis Fitzgerald Hotel!